Literally Speaking: Where Do We Teach? Our popular Literally Speaking series is back this September! Our Season 2 will pick up where we left off in May, when we tackled questions like "Why Study Literature? ", and "What Should We Teach?". We will present a series of three monthly talks from Sep to Nov, featuring an exciting line-up of speakers that include Noor Hasnah Adam, Matilda Gabrielpillai, Seetha Lakshmi, Laremy Lee, Lin Gao, Suraidi Sipan, Erin Woodford and Robert Yeo. How does the place in which we teach literary works influence what we teach? Our panelists share their experience of both institutional and non-institutional environments for teaching literature, and debate the possibilities and limitations that such contexts provide. Literally Speaking is a series of discussions that brings together educators who work in different settings and in different languages to explore aspects of literature they have found central to teaching and learning. In doing so, we debate the ongoing importance of literature and the literary in Singapore’s changing society. Literally Speaking is organised by The Select Centre, in collaboration with Philip Holden. 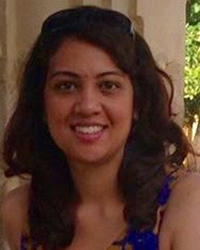 Matilda Gabrielpillai was on the English Language and Literature faculty of the National Institute of Education, Nanyang Technological University from 2000-2011. She had also taught at the National University of Singapore, Open University and UniSIM. Her teaching and research interests included Postcolonial and Women’s Writings and the literary imagining of transnational identities. 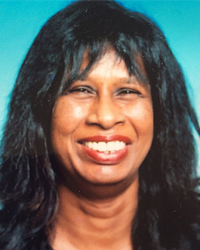 As a journalist in the 1980s and 1990s, she had worked in education, news reporting and arts criticism. She received her academic training from the then University of Singapore (B.A. Hons/Literature), Reading University, UK (M.A/Literature and the Visual Arts) and University of British Columbia (Ph.D/Literature). At present she tutors students in the IB and 'A' Level Literature programmes and works occasionally with schools in teaching Literature. Laremy Lee is the subject head of literature in English in the School of the Arts, Singapore, assisting in the management and development of the school’s literature curriculum, assessment and teaching pedagogy. He teaches International Baccalaureate language and literature, as well as English literature and creative writing to students in the foundation and intermediate years. Laremy graduated with an honours degree in English literature from the National University of Singapore (NUS). He also obtained a post-graduate diploma in education from the National Institute of Education, Singapore. In addition to teaching, Laremy also writes. His plays have been presented by W!ld Rice, Checkpoint Theatre and Buds Theatre Company, while his poetry has been published in literary journals and anthologies. 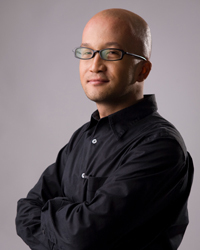 He has written for both print and online publications including Esquire (Singapore), Her World (Singapore) and Quarterly Literary Review Singapore. Excerpts of his works are at www.laremy.sg. Erin Woodford is a Literature teacher. She was the Subject Head of Literature and Language Arts in Temasek Junior College until 2015 when she took a sabbatical to pursue her Masters in English Education at University College London. This gave her the opportunity to reflect on her own teaching while exploring various research interests, including reading pedagogy and assessment, teachers’ constructs of reading, and the value of drama and creative work in teaching Literature. She is the co-author of the Lower Secondary teaching guide Local Anaesthetic: A Painless Approach to Singaporean Poetry (Ethos, 2014). 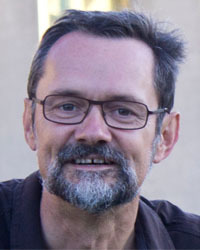 Philip Holden is Professor of English at the National University of Singapore, where he teaches courses in Southeast Asian and Singapore Literatures in English. He has also published widely on auto/biography, and Singapore and Southeast Asian literatures, is the co-author of The Routledge Concise History of Southeast Asian Writing in English, and one of the editors of Writing Singapore, the most comprehensive historical anthology of Singapore literature in English, In addition to his academic work, he is also a published short story writer and social commentator.